Toronto folk quartet Birds of Bellwoods released their debut EP The Fifth this year, and now one of the tracks off that effort has been twisted into a "folk-hop" offering. 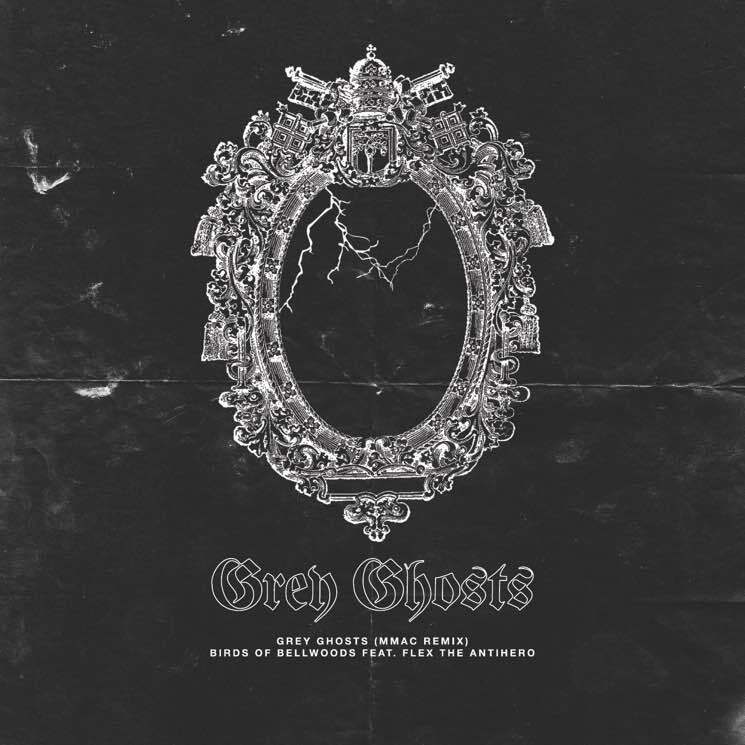 "Grey Ghosts" has been given a remix courtesy of Toronto producer M Mac, and in addition to amping up the formerly calm folk vibes of the song, he's also enlisted rapper Flex the Antihero for a string of guest verses. "I immediately gravitated to 'Grey Ghosts' — it had this really cool eerie energy to it and I knew immediately I would have a lot to work with," M Mac tells Exclaim! "Around the time I began crafting the remix, Flex and I were working on his new album, Born Rebels. He's as much a fan of Birds of Bellwoods as I so it just made sense to get him on it. The rest is history." Flex adds: "M Mac threw it out there that he was working on remixing some of Bellwoods music. He seemed pretty geeked over getting his hands on them, and I was as well. Stevie and I had discussed finding something to work on together, and 'Grey Ghosts' was always a favourite of mine. I don't really feel it was so 'out there' to me, as it has been a natural progression for me to start messing with music outside of my genre. I was a fan of their work prior, so it was a no brainer." Hear the deeper, darker new rendition of "Grey Ghosts" in the player below.